In high school I took a film studies class and it opened my mind up to the idea that cinema was an art form rather than just an entertaining distraction. At one point during the class, our teacher announced that we would be watching the Alfred Hitchcock masterpiece Vertigo soon and one of the other students made their lack of excitement abundantly clear to the whole room. The teacher asked her to share her frustrations and she said "Isn't that movie old? Is it even in color?" I never shared such concerns with that young lady, as I have always had an open mind for the history of film and even (gasp!) movies that were filmed in black and white. That being said, it wasn't until relatively recently, the past few years to be exact, that I really started to explore eras of cinema like the silent pictures of the 1920's. I now know what a shame it would be to ignore such a decade and write it off as "too old", as even 90 years later, so many movies from that era truly are treasures. 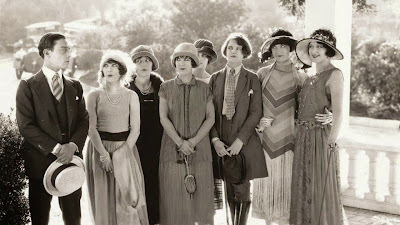 Thus I have decided to do a decades project, counting down the ten best films from each starting with the 20's. The silent era of film featured three comedic stars, all of which will be making appearances in this list of ten. 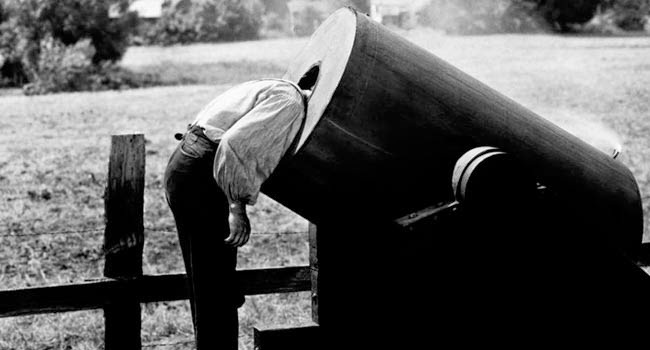 One of those men was Buster Keaton and his film Seven Chances is a delight. 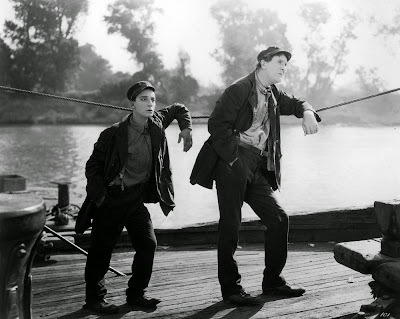 The story revolves around a man named Jimmy Shannon (played by Keaton) who discovers that he stands to inherit seven million dollars from his grandfather as long as he is married by 7 P.M. on his 27th birthday, which just so happens to be the very day he discovers this news. 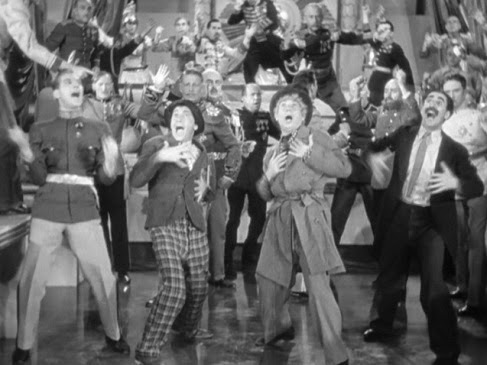 The plot is absurd of course, but one shouldn't look to the silent era comedies for realism. 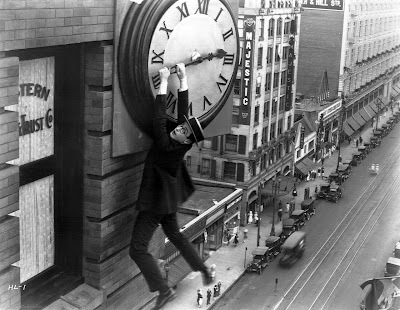 What matters here is how funny Seven Chances is, because the slapstick material is executed wonderfully by Keaton and some of the set pieces are remarkably memorable. Two films down, two Buster Keaton entries, and much of what I said about Seven Chances would apply here because the style of comedy is the same and the execution is still top notch. If you are a fan of films from this era or Keaton in general and have not seen either of the two listed thus far, I do suggest you check both out. A lot of laughs to be had here. That's right, make it three for three. Same as above only even funnier this time around, and the beauty of these Keaton films is their ability to fit into practically any schedule. Very short running times packed to the brim with fun. 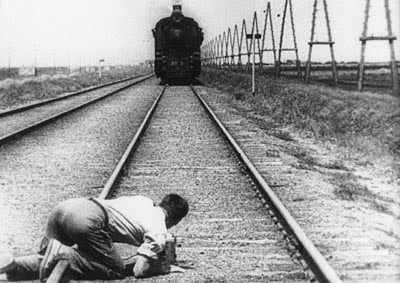 An experimental and groundbreaking film, Man With a Movie Camera is a non-narrative silent documentary and in order to truly appreciate it, you have to recognize the way it changed cinema forever. Featuring some breathtaking and exciting shots, this is a film that was way ahead of its time. Obviously you knew this wouldn't be a list simply loaded up with Buster Keaton yet totally void of any Chaplin, right? 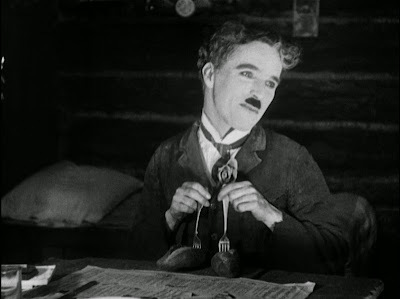 One of the greatest entertainers of all time, Charlie Chaplin had a brilliant mind for comedic timing and delivery and also how to form a meaningful, emotional narrative around it. The Gold Rush is a wonderful example of all of this. The work of F.W. 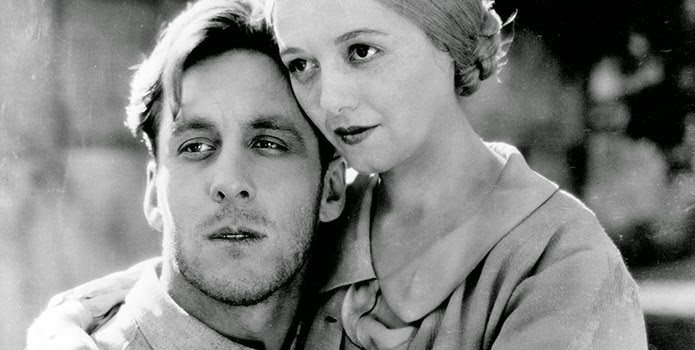 Murnau is still for the most part unfortunately unseen by me, but one of the few efforts of his I have had the pleasure to witness is the silent classic Sunrise: A Song of Two Humans. Featuring a surprisingly dark and twisted premise about a man who plans to kill his wife so that he can run off with his mistress, what comes out of it is a powerful story of true, profound love, painful regrets and forgiveness. A film that can be described as beautiful in more ways than one. 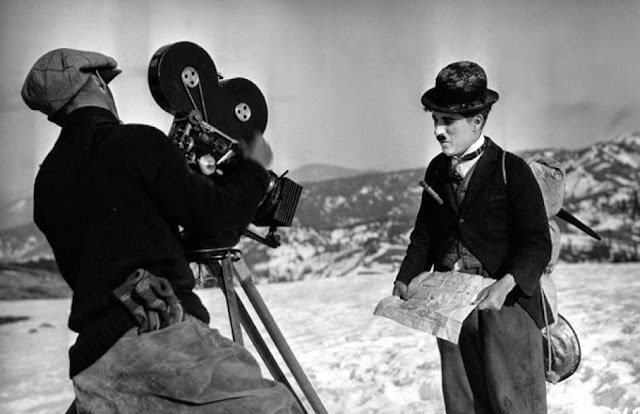 I recall a discussion I heard about the two stars of the silent era, Buster Keaton and Charlie Chaplin. I have learned that it truly was a three horse race because Harold Lloyd was a gifted entertainer as well. I have seen a handful of his work now and without a doubt Safety Last is his finest achievement, so funny and some amazingly memorable moments (like the image above). 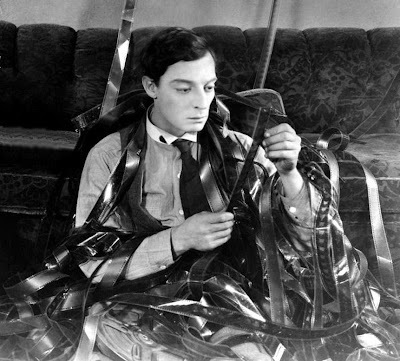 Buster Keaton clearly wins the 1920's for me when it comes to most appearances in my top 10 of the decade, and The General is the finest of them all. As fast paced and exciting as the runaway train depicted in the movie, anyone who thinks silent film equals boring film needs to check this one out and honestly tell me they still feel the same when after it ends. 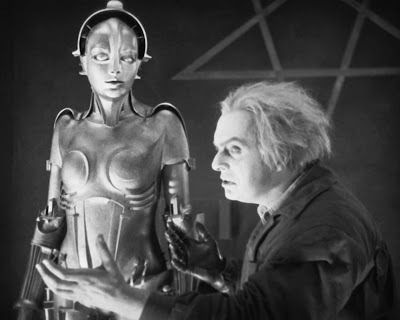 I recently made some adjustments to my 100 favorite films of all time list and I bumped the silent science fiction masterpiece Metropolis into my top ten...yet it is not #1 of its own decade, so you know something special is coming up next. Metropolis is a haunting, brilliantly strange film and it feels far more advanced than something that was released nearly 90 years ago. Directed by Fritz Lang, this remains a landmark piece of cinema to this day, and it only took roughly 5 minutes the first time I saw it to understand why. You don't merely watch The Passion of Joan of Arc, you experience it. 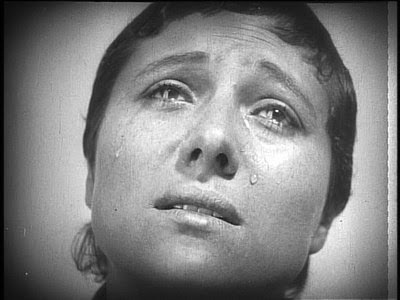 Ranked as my #3 favorite film of all time, this silent wonder shows the trial and eventual execution of Joan of Arc and the lead performance from Renee Jeanne Falconetti is quite possibly the greatest and most emotionally arresting I have ever witnessed. If and when you do decide to experience The Passion of Joan of Arc (and you should), make sure you watch the version that includes the Voice of Light musical composition by Richard Einhorn. I know I sound hyperbolic, but these words apply here: it is probably my favorite usage of music in a film ever. Absolutely perfect, and the film as a whole is the best of the 1920's. The next list will cover my ten favorite films from the 1930's. The image above is from one that will make the cut.